After Ketchikan, we started heading toward Juneau. 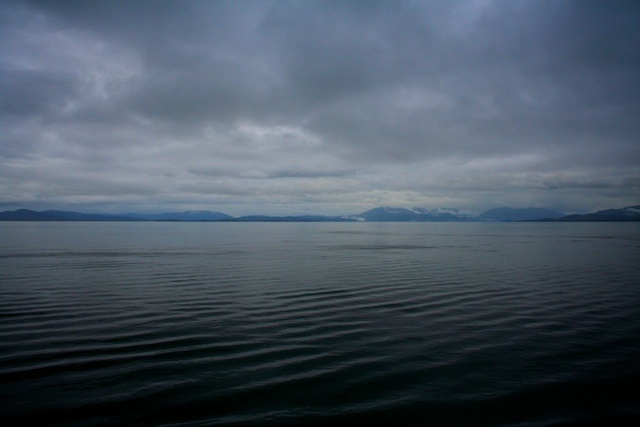 My favorite thing to do on the ship was to go out on the deck. I loved feeling the wind, looking out over the ocean. 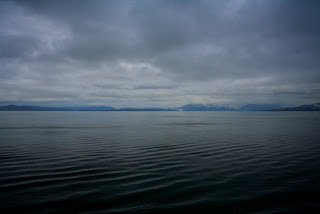 It started to get really cold and rainy at this point though, so we weren't able to spend much time on deck. 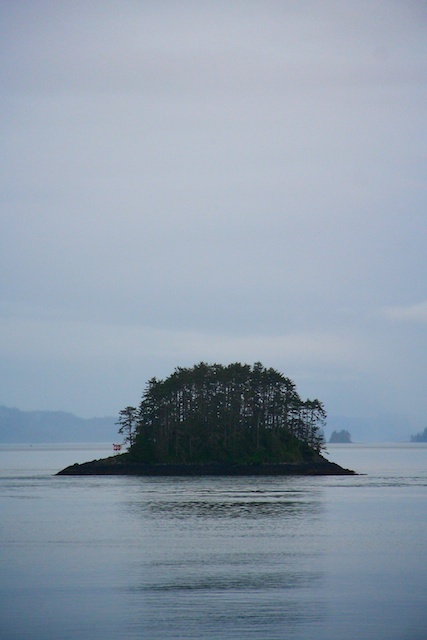 I thought this little island looked kind of interesting. Again, see how close together the trees are. This mist was really cool. This picture doesn't do it justice. The mist rolling over the hills was just amazing. We didn't have any shore excursions planned in Juneau. 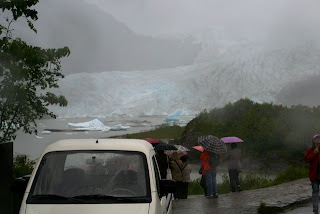 We knew that in Juneau, we wanted to go to Mendenhall Glacier (one of the only drive-to glaciers there are) and maybe on a tram ride that allows you to look out over all of Juneau. We knew that we could do all of those things on our own. 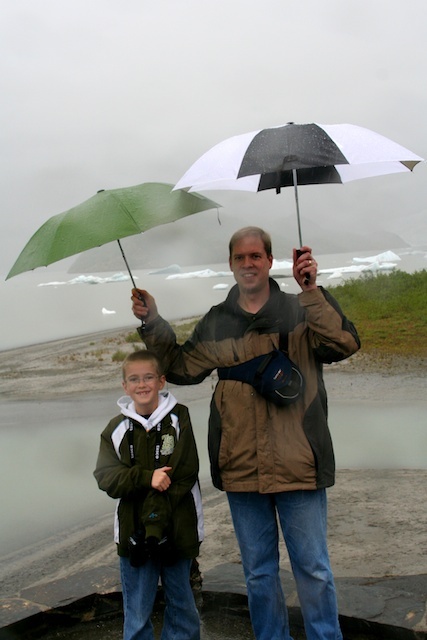 When we got to Juneau, it was raining. We took a taxi out to the glacier, and by the time we got there, it was pouring. We were soaked. 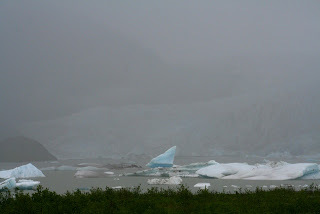 We could barely even see the glacier and were pretty miserable in the rain. 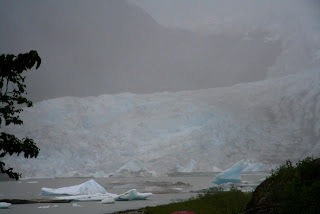 The glacier was pretty amazing, even in the rain. 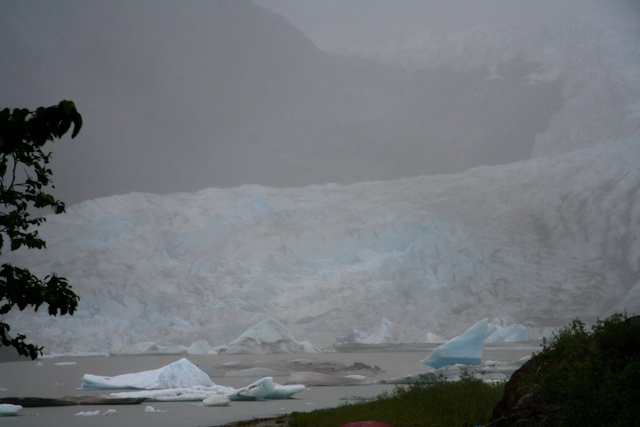 You can hike and get pretty close to it, but that didn't sound like a very fun idea in the rain. I love how blue the ice is. I couldn't keep my camera lens dry, so it was really hard to take pictures, but here are the boys, trying to make the best of the rain. 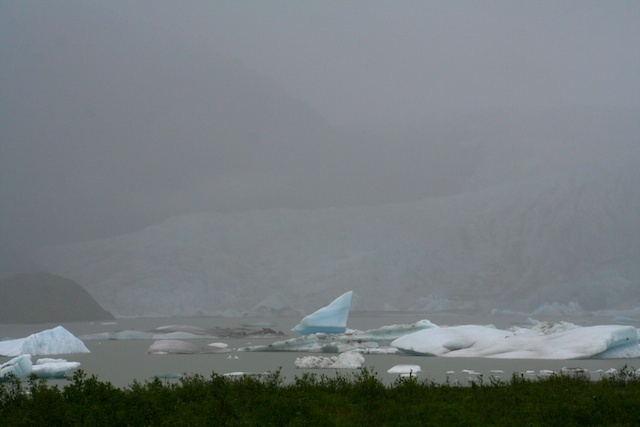 When we walked back to the taxi, it was still pouring, but the fog had cleared a little, so I got a couple clearer pictures of the glacier. This is the tram we were going to ride on. 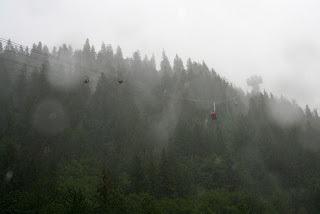 We decided that since we couldn't see much of the tram because of the fog, we wouldn't be able to see much from the tram, so we didn't go on it. 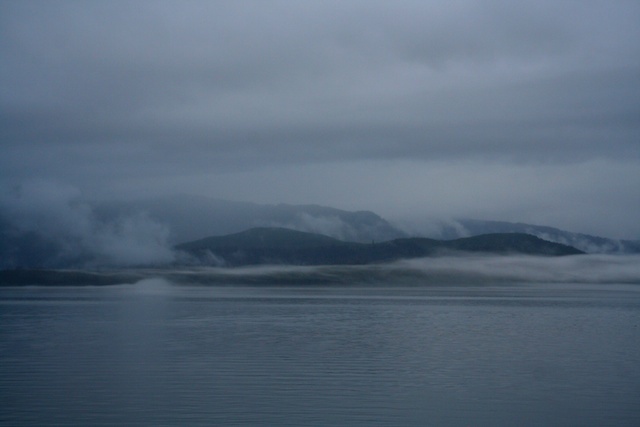 Here is a picture of Juneau while we were floating away. You can see how many cruise ships were there. It was crazy. Even with all the rain, Juneau was still fun. 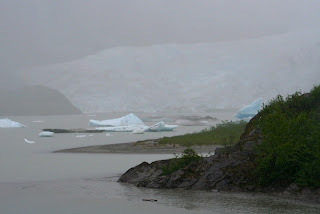 I loved seeing the glacier. 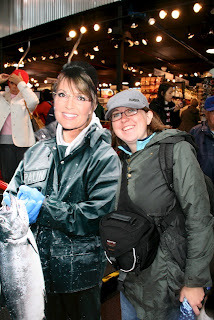 Juneau wasn't as picturesque as Ketchikan, but it was still very pretty and a neat place to visit.